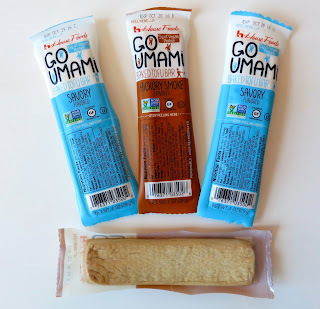 House Foods has come out with delicious baked tofu snack packs called Go Umami! Okay, I know what you are thinking. 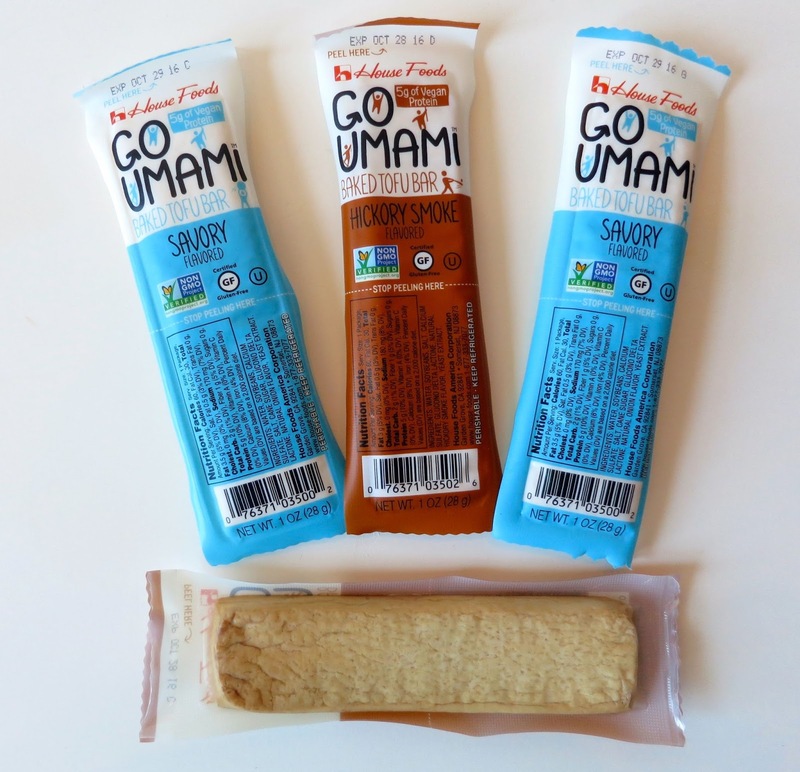 Who wants to eat tofu by itself? Well, this is baked and marinated tofu and it's really good. They come in three flavors: Hickory Smoke, Savory, and Orange Teriyaki. I got to try the Hickory Smoke and Savory and the Savory was definitely my favorite. It's got great texture and flavor. And 5 grams of protein! They are only available in California, Oregon, Washington, and Hawaii right now, but look for them at a store near you soon!